Cycling • Affidavits from Levi Leipheimer and David Zabriskie used as proof against Lance Armstrong. David Zabriskie of the United States reacts on the podium after clinching the silver medal in the men's time trial event, at the Road Cycling World Championships, in Salzburg, Austria, Thursday, Sept. 21, 2006. 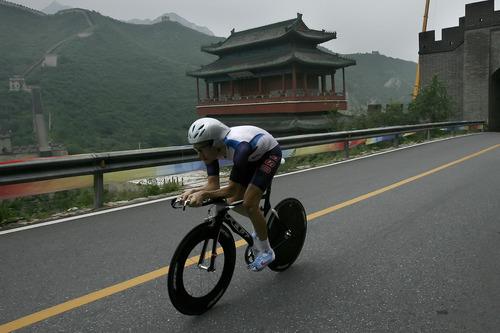 (AP Photo/Kerstin Joensson) David Zabriskie, an Olympus High School graduate, competes in the Men's Individual Time Trial at the Juyong Pass along the Great Wall of China, Wednesday, August 13, 2008. Zabriskie finished in 12th place with a time of 1:05:17.82. Chris Detrick/The Salt Lake Tribune Trent Nelson | The Salt Lake Tribune Race leader Levi Leipheimer continues to wear the yellow jersey at the end of Stage 4 of the Tour of Utah in Salt Lake City, Utah, Saturday, August 13, 2011. Al Hartmann | Salt Lake Tribune Levi Leipheimer gets the traditional kiss upon leaving the podium after winning the Tour of Utah which finished its final stage Sunday at Snowbird. 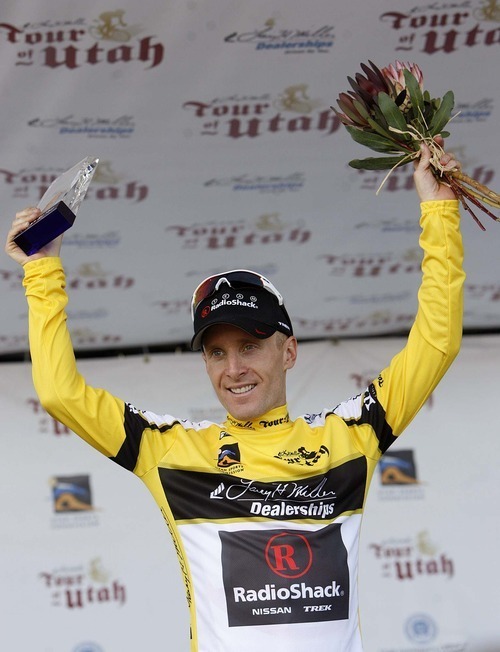 Al Hartmann | Salt Lake Tribune Levi Leipheimer is happy and relaxed minutes after taking second place in the fifth and final stage of the Tour of Utah on Sunday. He won the overall event. Chris Detrick | The Salt Lake Tribune David Zabriskie competes during the Stage 3 time trial of the Tour of Utah at Miller Motorsports Park Friday August 12, 2011. Zabriskie finished in 11th place. Salt Lake City, Utah--11/3/05-- Chris Detrick | The Salt Lake Tribune To prepare for the Tour de France, David Zabriskie, 26, trained on his native roads in Salt Lake City . At the Tour, Zabriskie won the 19 kilometer time trial with a time of 20:51. 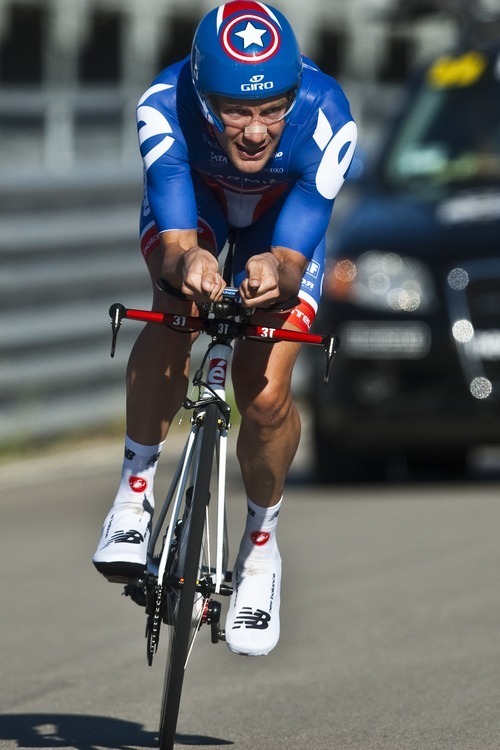 His average speed was 54.68km/h, the fastest non-prologue time trial in the history of the Tour de France. Zabriskie has now won a stage in each of the three grand tours; Vuelta a España (2004), Giro d'Italia (2005), Tour de France (2005), the first for an American. ROME, GA - APRIL 21: David Zabriskie of the U.S. and riding for Team CSC rides in the individual time trial as he finished second during stage three of the Tour de Georgia April 21, 2005 in Rome, Georgia. (Photo by Doug Pensinger/Getty Images) Trent Nelson | The Salt Lake Tribune Race leader Levi Leipheimer (in the yellow jersey) powers up State Street toward the state capitol building during Stage 4 of the Tour of Utah in Salt Lake City, Utah, Saturday, August 13, 2011. Two cyclists with Utah ties who rode with Lance Armstrong admitted in sworn statements released Wednesday that they took performance-enhancing drugs themselves and knew of the extensive doping cover-up by Armstrong, a seven-time Tour de France champion. 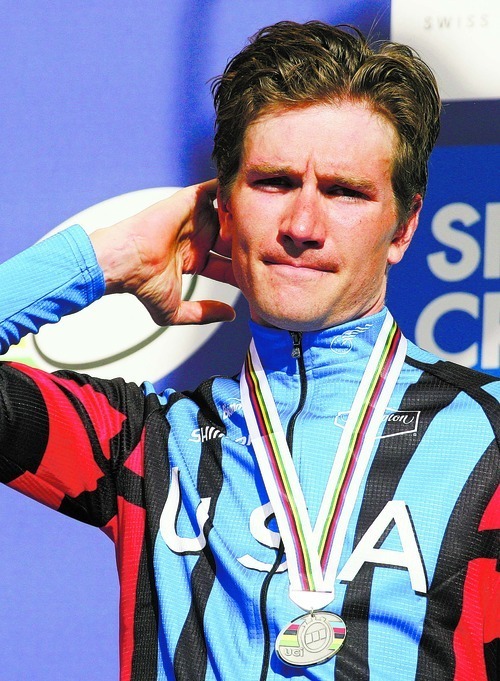 Salt Lake City native David Zabriskie and former Utahn Levi Leipheimer are among 26 people  including 11 ex-teammates  whose testimony against the world's most famous cyclist was revealed in a 202-page United States Anti-Doping Agency report. Armstrong, who USADA banned from cycling and stripped of his Tour de France titles in August  although there is still a question of whether USADA or the International Cycling Union has the ultimate authority to take away his Tour titles  opted not to fight the sanctions, but called on the agency to name his accusers and present solid evidence against him. Wednesday's report reveals that evidence in vivid detail, describing hotel rooms riders transformed into makeshift blood-transfusion centers and chronicling how Armstrong's ex-wife rolled cortisone pills into foil and handed them out to all the cyclists. It is the most detailed, unflinching portrayal yet of Armstrong as a man who, day after day, week after week, year after year, spared no expense  financially, emotionally or physically  to win. In his sworn testimony, Zabriskie, who raced with Armstrong on the U.S. Postal team from 2003-2004, said cycling was a "refuge" for him and helped him deal with his father's history of substance abuse. He noted the irony that he himself turned to drugs at the behest of team management in 2003. "I never used drugs and never intended to," he said in his statement. "I questioned, I resisted, but in the end, I felt cornered and succumbed to the pressure." Zabriskie said he stopped doping and was clean long before the Anti-Doping Commitment was issued for riders in 2007. "I want to play my part in making it the sport I had always hoped it would be and know that it can be," his testimony said. Zabriskie did not immediately return phone messages Wednesday. 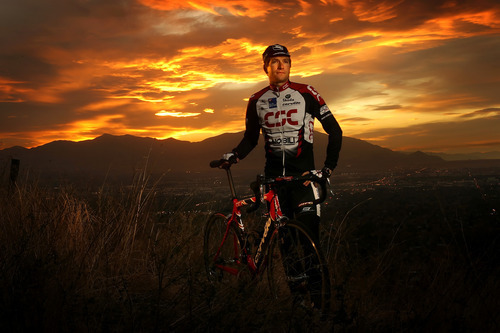 Leipheimer, a Rowland Hall graduate who raced with Armstrong on several teams including U.S. Postal Service, detailed how he used the synthetic blood booster Erythropoietin (EPO) in the 1990s. He also said he used a version of testosterone called "Andriol" in 2005 and underwent blood transfusions in 2005, 2006 and 2007. 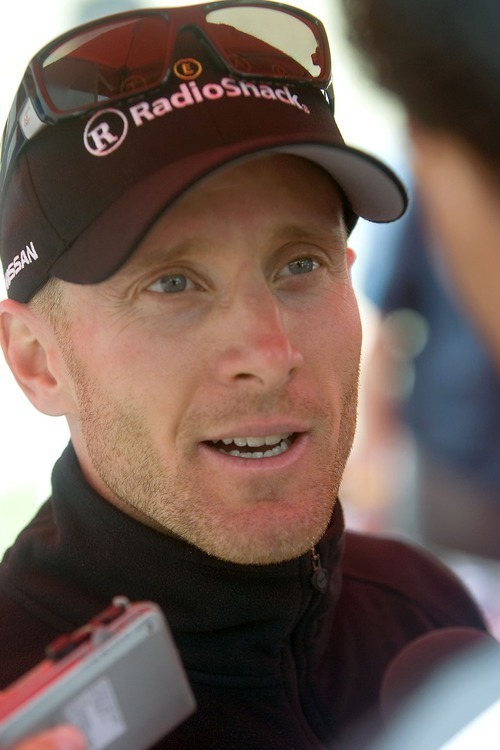 Leipheimer accepted responsibility in a statement Wednesday. "I've been racing clean for more than five years in a changed and much cleaner sport," he said. "I hope that my admission will help to make these changes permanent." Max Testa, Leipheimer's coach, said he and the cyclist never talked about supplements. "I worked with him as a coach, not a doctor," he said. "From the perspective I saw I didn't see anything that made me think he was doing anything wrong," Testa said. "It's not his personality ... to take advantage of a situation." USADA banned both Leipheimer and Zabriskie from cycling for six months and stripped them of some results. "I hope he [Leipheimer] can put this behind him," Testa said. "He still has a couple good years ahead of him." Leipheimer's and Zabriskie's admissions were just two of many incriminating testimonies that detailed the doping coverup. George Hincapie, Tyler Hamilton, Tom Danielson, Floyd Landis and Christian Vande Velde also testified, helping mount a case against Armstrong that produced financial payments, e-mails and lab results as evidence of the doping ring. "The [U.S. Postal Service] Team doping conspiracy was professionally designed to groom and pressure athletes to use dangerous drugs, to evade detection, to ensure its secrecy and ultimately gain an unfair competitive advantage through superior doping practices," according to USADA. Armstrong's attorney, Tim Herman, called the report "a one-sided hatchet job  a taxpayer funded tabloid piece rehashing old, disproved, unreliable allegations based largely on axe-grinders, serial perjurers, coerced testimony, sweetheart deals and threat-induced stories." Aware of the criticism his agency has faced from Armstrong and his legion of followers, USADA chief executive Travis Tygart insisted his group handled this case under the same rules as any other. Armstrong was given the chance to take his case to arbitration and declined, he noted. Utah's cycling community reacted to the USADA report with disappointment but not surprise. Marty Jemison, a University of Utah graduate who rode on the U.S. Postal team from 1998 to 2000 and now runs cycling tours out of Park City, declined to comment. Former cycling pro and Salt Lake City resident Burke Swindlehurst said he hoped this was the 'bottom," for cycling and that the sport can rebuild itself. "I love the sport of cycling," he said. "It's become a cliche to say it, but it really is the most utterly demanding and beautiful sport in the world." Ryan Littlefield, the owner of Contender Bicycles in Salt Lake City, expressed sympathy for the riders, believing the pressure to win was just too much for them to overcome. "I know those guys and it's sad," he said. "It's easy to point a finger at those guys, but they went all-in. You get over there to Europe and you see everyone else doing it, you can't fault them for doing it." Mike Hansen, the owner of Millcreek Bicycles, believes Wednesday's revelations will hurt pro cycling but not the sport in general. "The entire pro market is driven by advertising people and big corporations are not going to want to be associated with that behavior," he said. "It's going to hurt pro cycling, but I still love to ride my bike. I don't need to take testosterone to do it." A member of the U.S. Postal team from 2001-04, he said Postal team boss Johan Bruyneel introduced him to doping. He said he also took drugs while on the CSC team (2005-07). Zabriskie has been banned from cycling for six months and loses all results from May 12, 2003 until July 31, 2006. 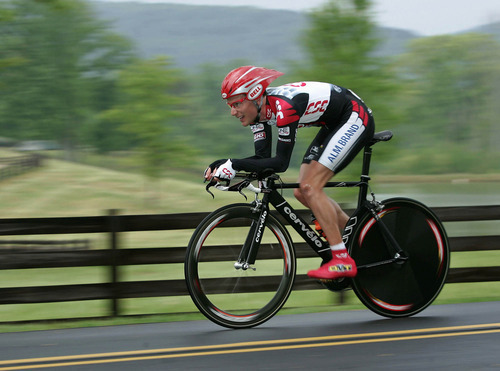 Among voided results are a first-place finish in the 2004 U.S. Elite National Time Trial Championship and his time trial in the opening stage of the 2005 Tour de France, which allowed him to wear the yellow jersey for three stages. A member of the U.S. Postal team from 2000-01, Leipheimer testified he used the synthetic blood booster Erythropoietin (EPO) in the 1990s, used a version of testosterone called "Andriol" in 2005, and underwent blood transfusions in 2005, 2006 and 2007. Like Zabriskie, Leipheimer has been banned from cycling for six months until March 1, 2013, and was stripped of all race results from June 1999 to July 2006 as well as results from July 2007. Among voided results are his eighth-place finish in the 2002 Tour de France, a ninth-place finish in the 2004 Tour de France and a first-place finish in the 2006 Dauphine Libere.